This simple elegant side dish is the perfect addition to your holiday meal. 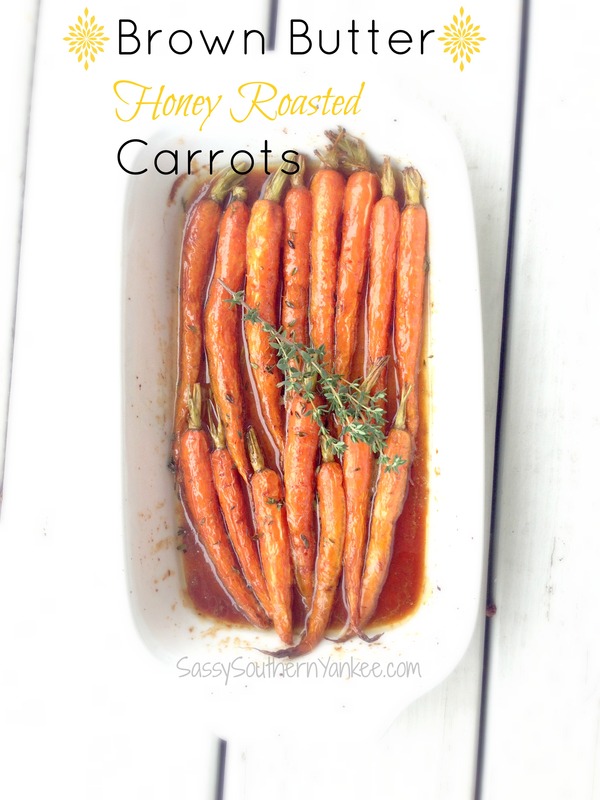 Brown Butter Honey Roasted Carrots with Thyme are quick, easy and delicious. I like to use organic carrots with the tops still on; removing them just prior to cooking. Did you know that carrots with the tops on are sweeter than those with the tops removed? When your budget allows always purchase your carrots with bright green tops intact. Carrots are also sweeter in the winter, so this makes it the perfect time to make Brown Butter Honey Roasted Carrots with Thyme. That my friends is your “learn something new” lesson of the day! In a small sauce pan melt the butter over medium heat just until it starts to brown. When browning butter it tends to go from browning to burnt in a short period of time, so make sure to keep an eye on it. Once the brown butter is done remove from the heat, and add in the honey. This brown butter honey sauce would be delicious over sweet potatoes, or hot from the oven rolls or fresh bread. Yum! 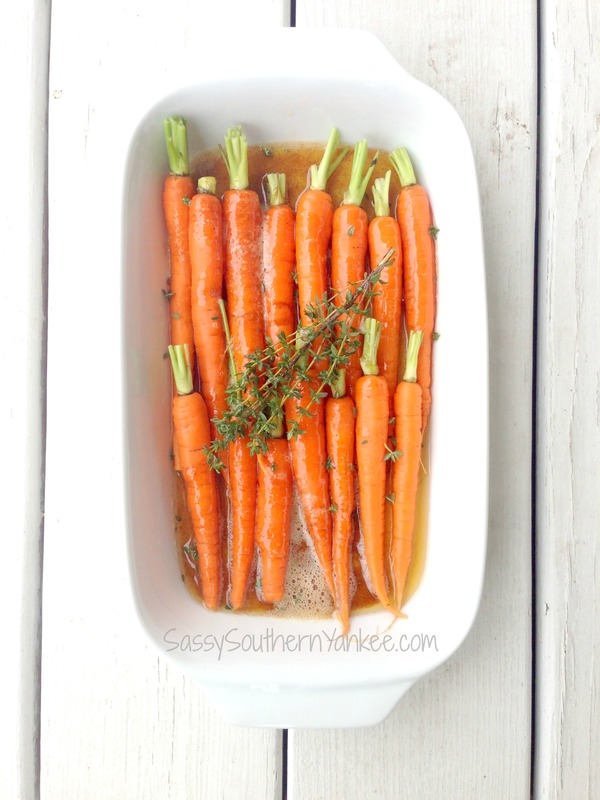 In a small casserole or jelly roll pan place the washed carrots with tops removed evenly in one layer. 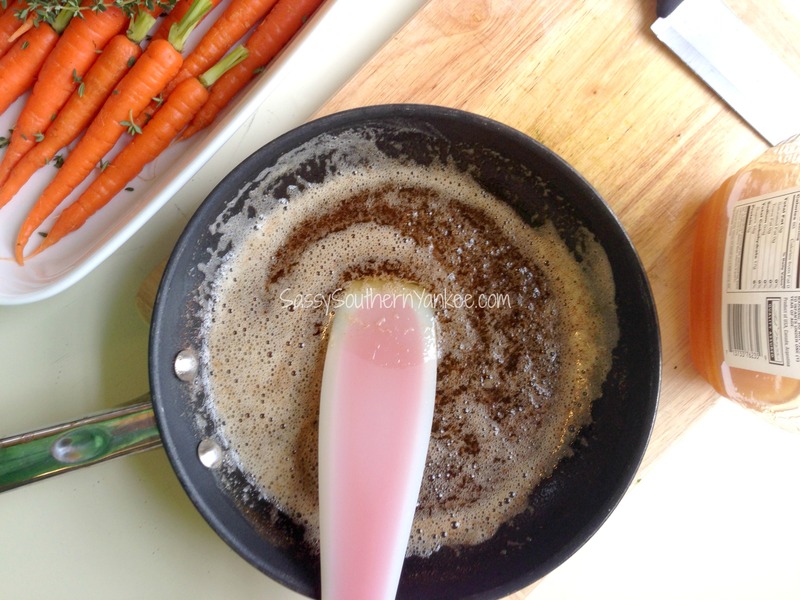 Pour the Brown Butter Honey mixture over the carrots then sprinkle the fresh thyme. In a small sauce pan melt the butter over medium heat just until it starts to brown. When browning butter it tends to go from browning to burnt in a short period of time, so make sure to keep an eye on it. Once the brown butter is done remove from the heat, and add in the honey. Roast in the oven for 25 min until they are fork tender. 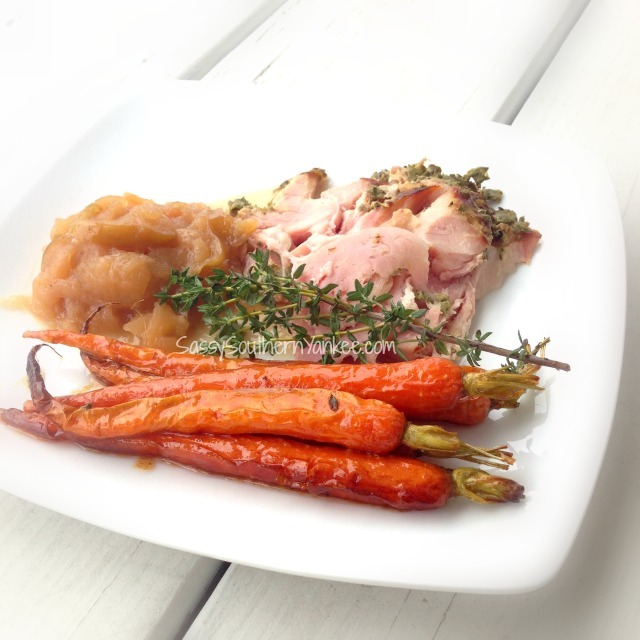 This entry was posted in Side Dish and tagged Brown Butter, carrots, Farm to Table, Healthy Sides, honey, Oven Roasted, Roasted to Perfection, Simple Holiday Sides, Vegetarian.